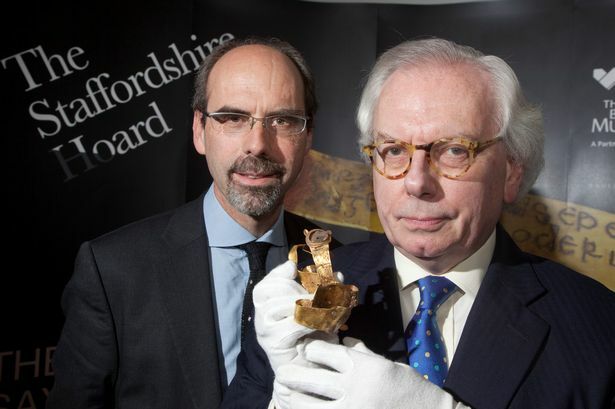 The national arts charity which helped buy the Staffordshire Hoard for the Midlands has called on Birmingham City Council to think again over an £850,000 cut in museum funding. The Art Fund led the £3.3 million fundraising campaign which in 2010 secured the historic Staffordshire Hoard for Birmingham and Stoke-on-Trent Museums. Now, its director Stephen Deuchar has labelled proposed cuts of £850,000, about 15 per cent of the council&apos;s £5.6 million a year subsidy, as "short-sighted". The council&apos;s budget proposes that money spent on exhibitions and displays should be reduced, opening hours at some of the city&apos;s heritage sites like Aston Hall and Weoley Castle be cut and the museum looks to increase income from visitors and outside funds. Mr Deuchar said: "I am aware that the council is experiencing a budget crisis and faces difficult decisions regarding unprecedented levels of saving across its services. "I would urge that - for the wider benefit of the city - the cuts imposed on Birmingham Museums Trust must be reduced." He added: "The Art Fund has been a significant supporter of Birmingham Museums for many decades. Birmingham has collections of international significance, a dedicated and excellent staff and a growing reputation for combining academic and artistic excellence with imaginative learning and community projects. "It is both a national and a world leader and, following its move to Trust, is beginning an exciting new chapter. It would be extremely short-sighted if both the established reputation and the revitalised potential of this important institution were to be permanently blighted at this crucial moment in its history - and future." He did however welcome statements last year from the council&apos;s Labour leader Sir Albert Bore that arts and culture would retain financial support despite the austerity measures because they are "a crucial part of what makes Birmingham a city of note". The Birmingham Museum Trust runs the Birmingham Museum and Art Gallery, Thinktank at Millennium Point, Soho House, Aston Hall, Blakesley Hall, Weoley Castle and the Muesum of the Jewellery Quarter and Sarehole Mill. It was given Trust status in 2012 to increase the opportunities to raise income outside the council subsidy.